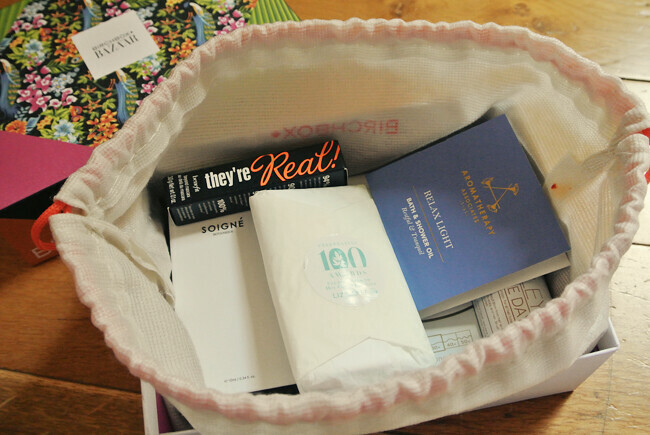 Beauty boxes are nothing new, it was only a couple of years ago when they took the blogging world by storm and it seemed like the world and his wife were blogging about them on a weekly basis (myself included) and i guess it just got a bit too much. 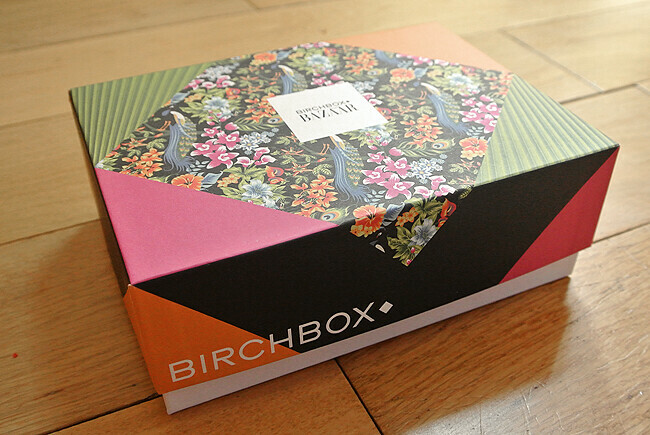 But after receiving the May Birchbox in the post last week i couldn't wait to show you as i think it's the best one that's been around in a long time and every single product gets a big thumbs up from me. They're Real! Mascara by Benefit has been an absolute favourite of mine for a while now after i switched from being a bad gal lash lover for years! This mascara is a cult favourite and is the UKs #1 selling mascara, which doesn't suprise me in the slightest. Although it's a bit on the pricey side this is a product i'll continue to buy as it's worth every single penny. These travel size ones are the perfect handbag size too! Liz Earle Cleanse & Polish is also a cult and personal favourite, and as of last week i'd actually ran out of my lastest bottle so this one is very warmly welcomed in to my bedtime routine. It's a product i always keep going back to because it's honestly so good at what it claims to do. It leaves my skin feeling really soft, hydrated and has a really lovely fresh scent. Philip Kingsley Dry Shampoo is a lovely little product to also carry around, being a big fan of any type of dry shampoo (we all have those lazy can't be bothered to wash our day days) this is something i've wanted to try for a while after reading some brilliant reviews. I've used it a couple of times since and so far i like what i see, it's also a great styling product too and gives my hair a bit more extra volume if i spray it in to freshly washed hair. Other products include Soigne nail polish, Aromatherapy associates bath & shower oil and Imedeen Derma One vitamins. 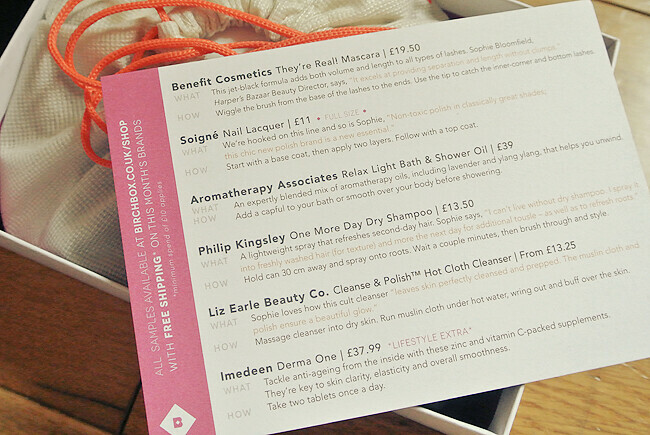 Fancy getting this box for yourself? You can subscribe right here! This genuinely looks amazing! Benefit's They're Real is one of the best mascaras around at the minute! Can't wait for mine to arrive! Benefit's mascara is the best ever! Sounds like one of the best boxes in a while to me too! Ahh that box is so stunning, and I love the contents too! 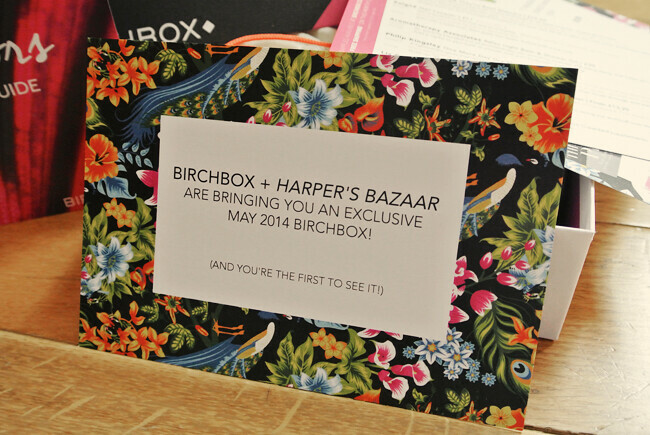 A fabulous box from Birchbox! It's rare that I'm impressed by their boxes! !